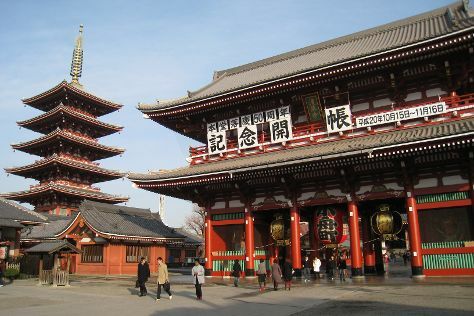 Your inner history buff will appreciate Senso-ji Temple and Kotoku-in (Great Buddha of Kamakura). Tokyo National Museum and Edo-Tokyo Museum are good opportunities to explore the local culture. Venture out of the city with trips to Sarushima Island (Monkey Island) (in Yokosuka), Hakone-machi (The Hakone Open-Air Museum & Hakone Shisseikaen) and Yokohama (Sankeien Gardens, Nogeyama Zoo, & more). There's lots more to do: meet the residents at Ueno Zoo, admire the striking features of Tokyo Tower, admire the natural beauty at Shinjuku Gyoen National Garden, and don't miss a visit to The Tsukiji Market. For photos, reviews, more things to do, and more tourist information, read our Tokyo trip builder website . If you are flying in from United States, the closest major airports are Tokyo Haneda International Airport, Narita International Airport and Hyakuri Airport. Expect a daytime high around 81°F in September, and nighttime lows around 69°F. Wrap up your sightseeing on the 16th (Sun) early enough to travel back home.